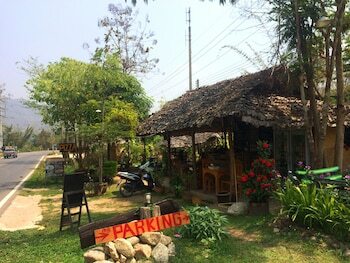 Located in Pai, Pai Seven Guesthouse is a 4-minute drive from Pai Memorial Bridge and 9 minutes from Tha Pai Hot Springs. Featured amenities include dry cleaning/laundry services, a 24-hour front desk, and luggage storage. Free self parking is available onsite. With a stay at [email protected] in Bangkok (Chatuchak), you'll be 13 minutes by car from Union Mall. The front desk is staffed during limited hours. Free self parking is available onsite. Located in Bangkok (Phra Nakhon), Tim House is within a 10-minute walk of Wat Suthat and Wat Saket. Featured amenities include dry cleaning/laundry services, a 24-hour front desk, and luggage storage.